It’s been a while, but I’ve talked about hunting with crossbows in the past. There are some distinct advantages to using a x-bow during archery season, since it fires so much more like a rifle than a bow. A good crossbow is terrific for anyone with a disability, but it’s also a great choice for beginning hunters. Maybe that’s why so many hunters are opposed to using anything other than a traditional, recurve, or compound bow, but that’s really besides the point. 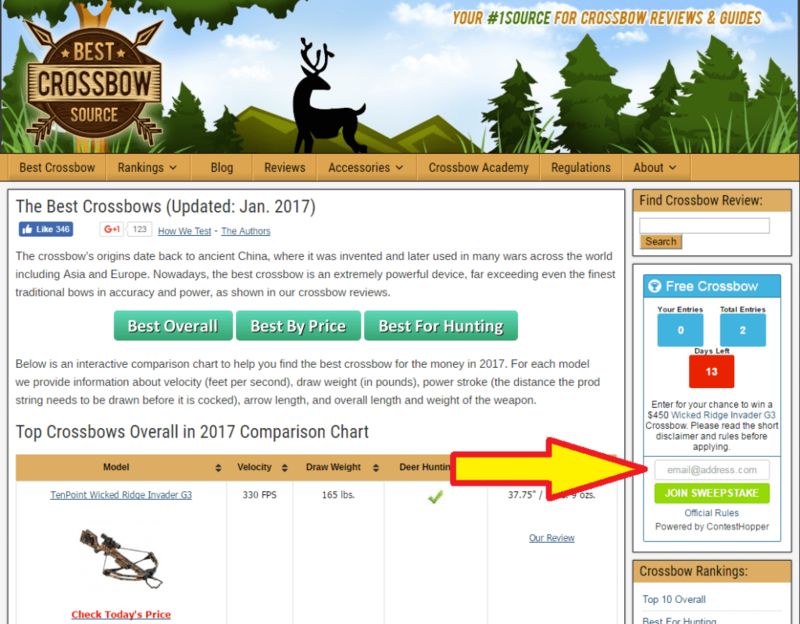 A growing number of states allow crossbows during archery season, and we’ve got a heck of a deal for you on a good one, so you can get proficient with it before 2017’s hunting season kicks in. 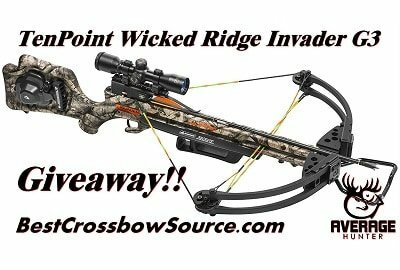 Thanks to our friends over at Best Crossbow Source, you’ve got the chance to win a free TenPoint Wicked Ridge Invader G3 package. This baby is Wicked Ridge’s lightest, fastest, narrowest, and safest Invader to date. It weighs a mere 6.6 pounds, and it slams bolts into the target with 96 foot-pounds of kinetic energy. It’ll send those bolts downrange at 330 feet per second! It’ll turn an average hunter into a buck-slaying machine in no time. 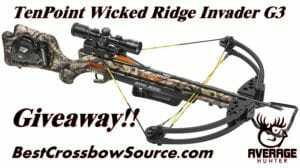 To get your name in the hat for this amazing x-bow, just click over to Best Crossbow Source and enter your email address. You can find the full terms and conditions for the contest there, along with the signup form. Just look at the top of the page’s right sidebar.